Now that it’s officially November, I wanted to share a tutorial with you to get you in the Holiday mood. This craft is Christmas in a bath fizzy. I present: Gingerbread House Bath Bombs! 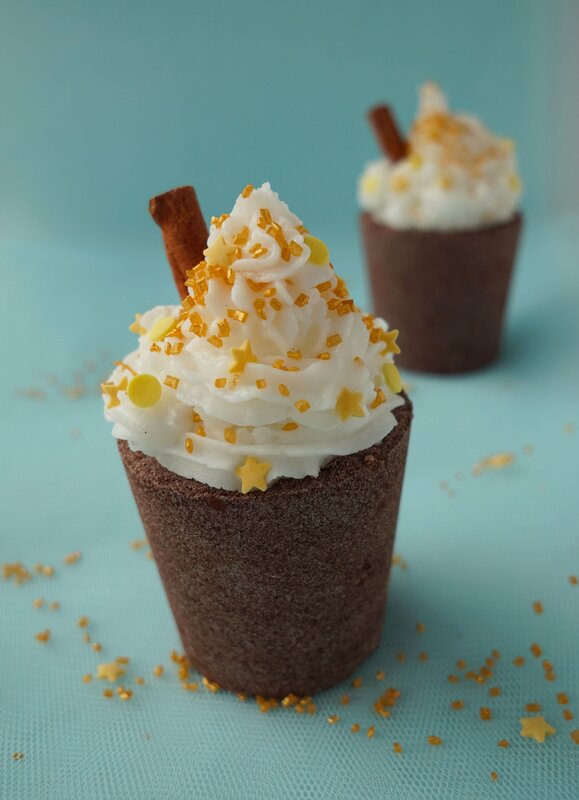 Take a deep breath in: can you smell the gingerbread spice? Isn’t it lovely? I’ve also made a quick video tutorial to go with this DIY. You might be happy to know the video can be watched without sound! This recipe makes 3 medium sized bath bombs (same size as you see in the pictures!) You can easily double or triple this recipe if you like. To help you find the ingredients you need for this tutorial I’ve added links in this post to places you can find them online. I’m part of the Amazon affiliate program so I get a small commission when you buy something via these links. For me it’s a win-win and I spend that money to make more bath bomb tutorials for you 🙂 But feel free to Google the ingredients to find your own or buy them from local vendors in your area! Let’s start with the Epsom salt. Divide the bath salts between 2 sperate mixing bowls (1 teaspoon of Epsom salt in each). Add a drop of red food or soap coloring to one batch and a drop of green coloring to the other. You really don’t need more than a drop. Stir well to evenly coat all of the salts. Set aside to let the salts soak up all of the dye. Coloring the bath salts was inspired by my DIY Bath Bombs with Espom Salt. This tutorial has become a classic and uses the same technique. Now make your bath bomb mixture. In a mixing bowl combine the baking soda, citric acid and corn starch. Mix well with a spoon or a whisk to combine all of the ingredients. Next add your wet ingredients. First we’ll start with the almond oil. Slowly add about tablespoon of almond oil to the dry ingredients. Stir well in between to make sure all of the ingredients are well combined. To make sure all of the ingredients form a nice bath bomb ‘dough’ you need to add some type of liquid. I like to use rubbing alcohol, but you can also add witch hazel or even a splash of water. Slowly add the rubbing alcohol to the bath bomb mixture. Start by adding one or even half a teaspoon. Stir well to combine and check regularly until you get the right consistency. You shouldn’t need more than 2 teaspoon in total. You know the mixture is ready when you squeeze a handful of mixture in the palm of your hand and it clumps together. Now we are ready to create our bath bombs! Place a few colored epsom salts at the bottom of your bath bomb. You only need to do this for one half. Scoop about 1 to 2 tablespoons of the white bath bomb mixture on top of the colored salts. Do this for all your molds. I could make about 3 medium sized bath bombs with this mixture. This is the moment we’ve all been waiting for: adding the gingerbread spice. Add about 1 tablespoon of gingerbread spices to the remaining bath bomb mixture. Stir well to combine. I didn’t have a pre-made spice mixture on hand when I made these, so I improvised and quickly mixed my own by using 2 teaspoon of ginger, 1 teaspoon of cinnamon and a dash of nutmeg and all spice. I also added 3 drops of cinnamon oil to really bring out all the cookie scent. 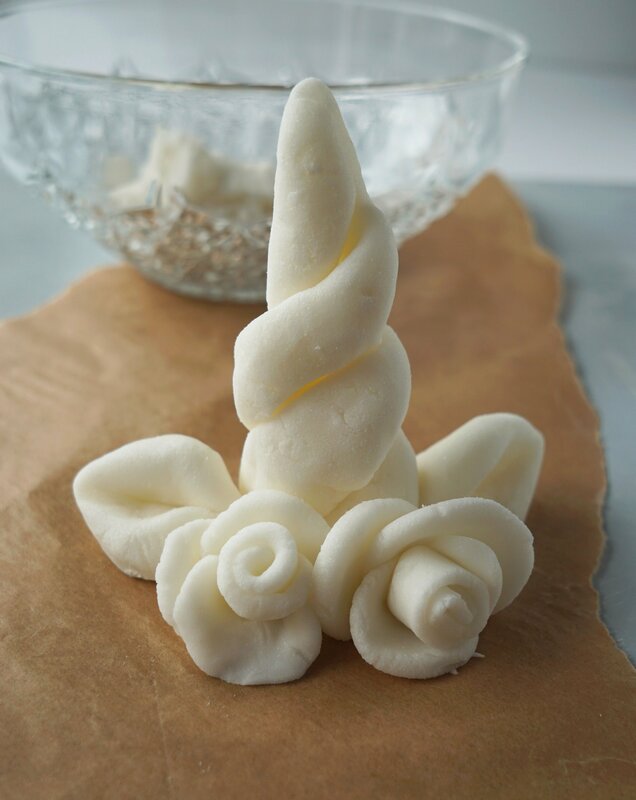 I still had it from my DIY Cinnamon Roll Lotion Bars tutorial and seized the opportunity to use it again. This part is completely optional. 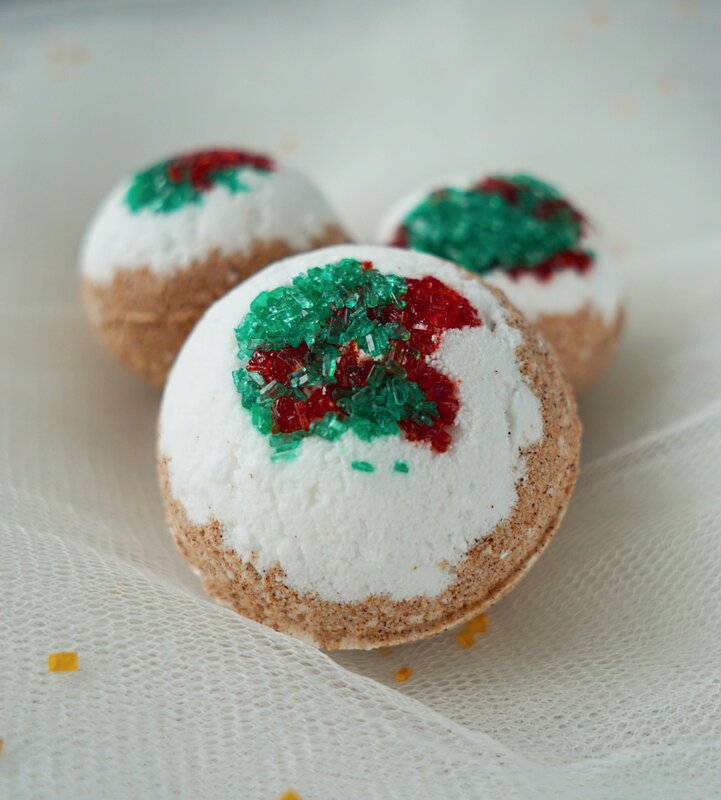 Fill up the rest of your bath bomb molds with the gingerbread spice bath bomb mixture and close them. to make sure they hold their shape, I like to let them dry in their mold overnight or at least for 6 hours straight. They should fall right out once they are dry. 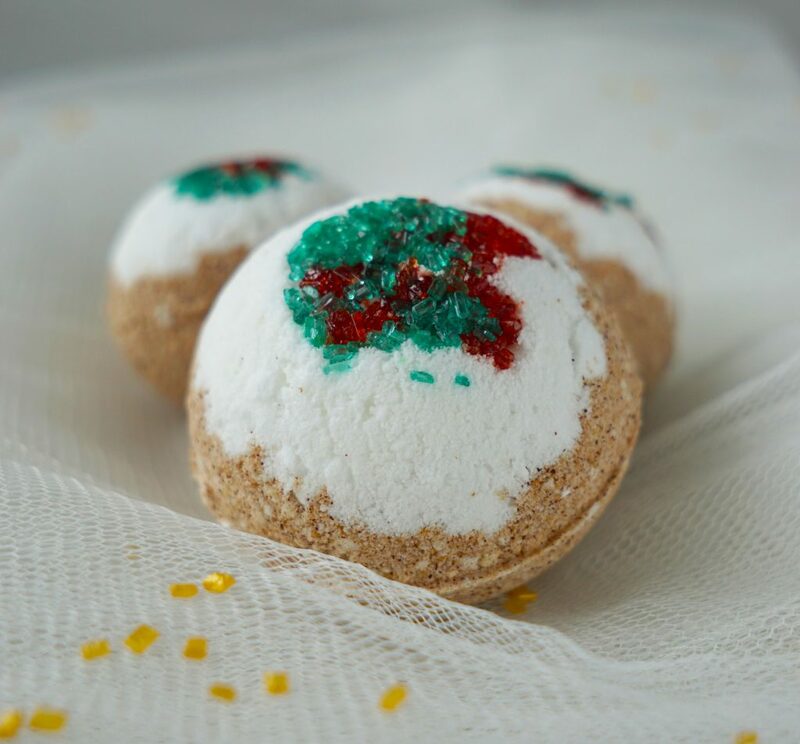 Once these Gingerbread House Bath Bombs are dry, pop them out of their molds and they are ready to be packed as a gift or featured in your next home spa treatment.